You are now able to book your own Careers Appointments from your phone or any device with an internet connection! Looking to log in to MyCareer? If you are experiencing any issues with booking an appointment or logging in, please see the below document which is a little handy guide we created to help you! Every morning between 10-1 a specialist will be available to guide you through our online and information resources (including JobShop), and speak to you about our careers activities and events as well as any other quick career questions. Just turn up. These appointments are released 48 hours in advance - you can see availability for today and the next working day. If we don't have any appointments left, just check back tomorrow and more appointments will be released. Please note: with our changeover to a digital interface, these appointments are now operated through a booking system, so if you'd like an appointment within the time listed above, book your place online. Otherwise please drop by to the Careers Centre, Student Central and use our self booking system or call us on 01484 472124 to book your appointment. These appointments are released on a 2 week notice - meaning you can see availability for today and the next two weeks. If we don't have any appointments left, just check back tomorrow and more appointments will be released. To book a mock interview please call us on 01484 472124 or pop in to see us to discuss your requirements. 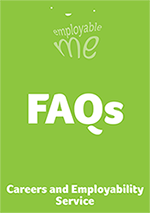 Currently mock interviews cannot be booked online as we need to speak with you to gather the information needed to prepare the mock interview for you. These are held during term time and take place within your academic school. For details of the sessions, ask your school office or contact us. If you are unable to make it on to campus, then you can ask us a question online. E-Guidance is for any career related enquiry, and can also be used to get advice on your CV and applications. Just submit your enquiry and any attachments to MyCareer. Enquiries will be dealt with within 5 working days.